Increased energy efficiency is a constant challenge for industry, energy prices are rising globally so there is a short term necessity to reduce fuel bills in order to remain competitive, which is why waste heat recovery is so important. There is also a prescient environmental issue which cannot be ignored. These are two strong arguments why power generation operators and energy consumers operating hot water or steam boilers ‘without’ waste heat recovery systems in place need to act now. Opinions vary on the environmental impact of carbon dioxide emissions, however the general consensus on global warming is that doing nothing is no longer an option – and if action is not taken now the situation may be irreversible as soon as 2020. A 2016 report produced by respected scientific journal Climate Dynamics* analysing current CO2 global emissions suggests that developed nations need to reverse carbon emissions at the latest by 2030 and other nations by 2050, which is why waste heat recovery is so important. The process of reducing carbon emissions also frequently involves reducing other forms of pollution at the same time. Simply because the release of unburnt fuels into the environment and exhaust emissions from low efficiency burning cycles involving fossil fuel derivatives into the atmosphere can be very damaging to natural life-cycles, including our own. 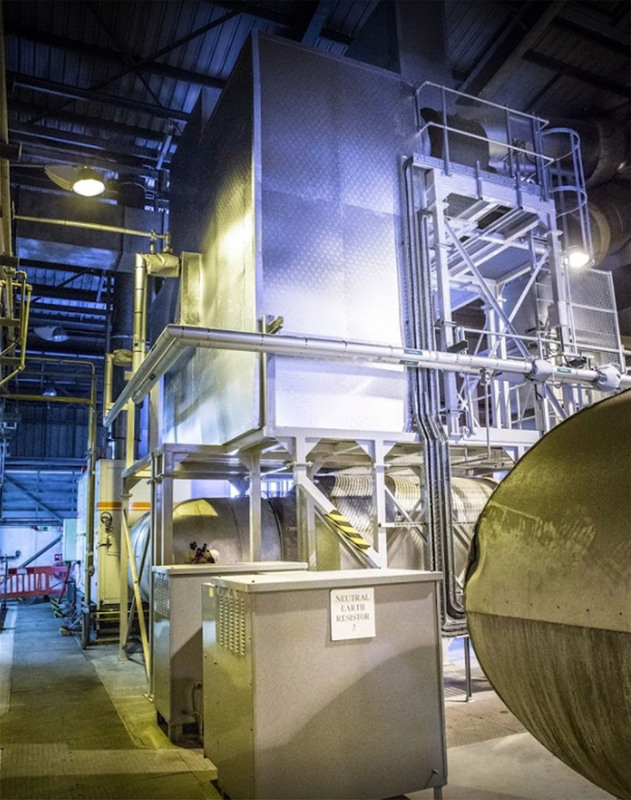 One of the key areas for potential energy saving in existing systems is waste heat recovery. Waste heat recovery is so important because by reducing the amount of fuel used to produce heat in a boiler installation, heating efficiency increases, resulting in lower fuel use. This serves both the requirement to increase efficiency and reduce carbon emissions. Best practice for business dictates that ways to improve operational efficiency should be constantly sought out. While the humble boiler became popular over 100 years ago, it remains a major energy consumer in many factories and other types of business, generating waste heat from the spent gases used to heat the water. In an industrial boiler system heat is usually considered ‘waste’ when it is below 100°C as it can’t be used in main processes for boiling, steam creation or sterilisation. This spent heat could be used for ambient heating of the factory or building, but its use is restricted to colder climates or during colder times of the year in temperate climates, plus, installations to provide this type of heating are often large and costly. A more useful alternative technology is to apply a boiler economiser. Spent heated gases from the outlet or flue of the boiler burner are returned to the inlet of the boiler to pre-warm the in-feed water, thus providing a higher inlet temperature to the boiler. This results in less fuel demand to reach a usable water heat. This technique is often used in modern domestic boilers but is not common for industry. Many industrial boiler systems are often older installations and awareness of this energy efficient technique as a retrofit option is not always known, therefore energy savings are looked for elsewhere. Installed between the boiler outlet and the flue or chimney, economisers operate on the principle of heat exchange, salvaging boiler gases to pre-heat the boiler in-feed water. This reduces the energy required to heat the boiler feed water to operating temperature. Usually constructed from carbon steel, the economiser design incorporates finned tubes containing the boiler feed water running perpendicular to the flow of hot outlet gases. By heat transfer the flue gas temperature reduces as it increases the feed water temperature. The extent to which the economiser pre-heats the feed water depends on the design of the economiser and existing boiler parameters. The key to efficient heat transfer rate however is the design of the finned tube surface, which needs to maximise total thermal contact with the hot gas. Since every application is different, each economiser should be purpose built to achieve the best transfer efficiency for the boiler design and the way it operates. This may include minor changes to an existing design, which is common for some more traditional designs based on boilers that operate continuously at maximum flow rates. More modern designs with variable flow-rates however, will usually require something more specifically suited to the application. ThermTech has been providing industry advice on why waste heat recovery is so important for over 25 years and is accredited by CHAS, ISO 9001, Achilles and ASME Boiler and Pressure Vessel Code Certification. The company’s engineers’ objective is to help assess the quantity and quality of available heat and matching it to the most effective re-use cycle, using the most cost effective and practically suitable forms of heat recovery equipment.